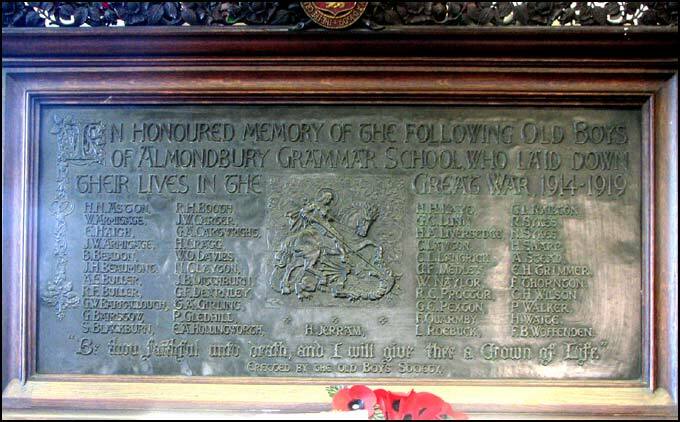 This bronze memorial tablet to the 41 Old Almondburians who had fallen in the First World War is on display on the wall of the School library. It was unveiled in March 1923, preceded by a service in Almondbury Parish Church conducted by the vicar, Dr Longford. Craven Cudworth read the lessons and Haydn Sandwell played the organ.